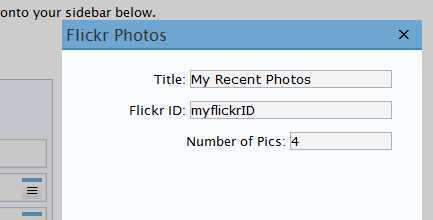 1) Download clays-flickr-widget.zip and extract the contents to your WordPress plugins folder. 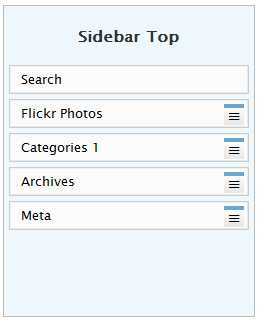 3) Go to the Presentation control panel, click the Widgets subcategory and drag the “Flickr Photos” widget onto the Sidebar control. 4) Click the configure icon and set the options.